Araujo is relatively new to the TransAm Trucking fleet, but he’s been in the trucking industry for years. No matter where he is, Anthony is always willing to help another driver. People like Anthony are what makes trucking a noble profession. We are excited to have his knowledge and experience on our team! Thank you, Anthony! Bill is dedicated to truck driving. Whether he is on the yard or over-the-road, Bill puts in the time to do things correctly. His Driver Manager, Sandra Calico, is full of praise for Bill. “Gosh! There is so much that I could say about him. We have a partnership,” she says. “I can always count on him.” Thank you, Bill! You are an exemplary truck driver! Bryon joined TransAm Trucking’s regional fleet less than a year ago and he’s already proven to be a great asset to the team. “He does a great job delivering his loads,” says his Driver Manager, Penny, “and I appreciate his constant communication.” Bryon is a problem solver and doesn’t let anything stand in his way. Thank you, Bryon, for being a constant inspiration! Charles is relatively new to TransAm Trucking’s mentoring program, but his enthusiasm and willingness to communicate has made him a favorite among his mentees. He truly cares about their success. 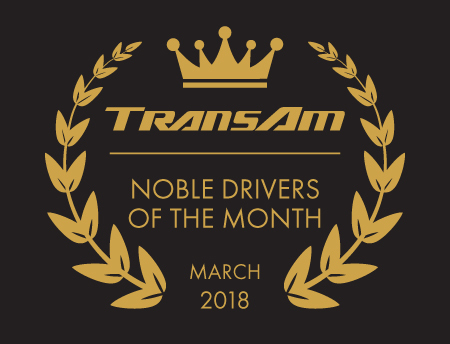 “Charles does a great job, which shows from his mentees’ reviews about Charles’ mentoring style,” says Darren, TransAm Trucking’s Manager of Training & Development. Thank you, Charles, for being a part of this program!